Create layers of colour and texture in your home with the Oslo collection. 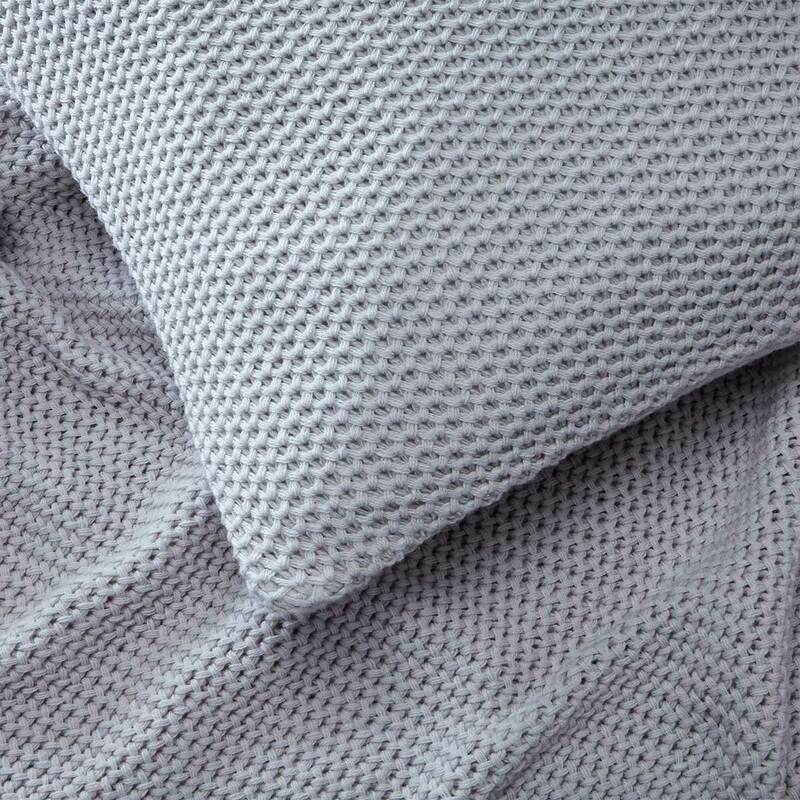 This fabulous and timeless honeycomb knit pattern will add style and softness to your bed or sofa, it's perfect to snuggle under on those chillier nights. 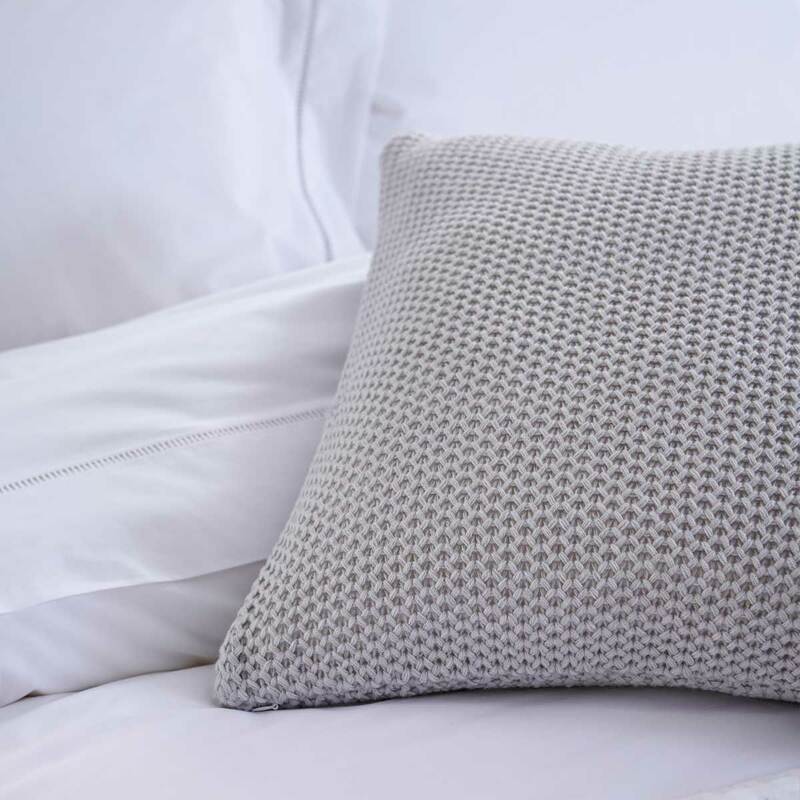 Layering up the bed with the Oslo cushions is a great way to make your bed look even more inviting. 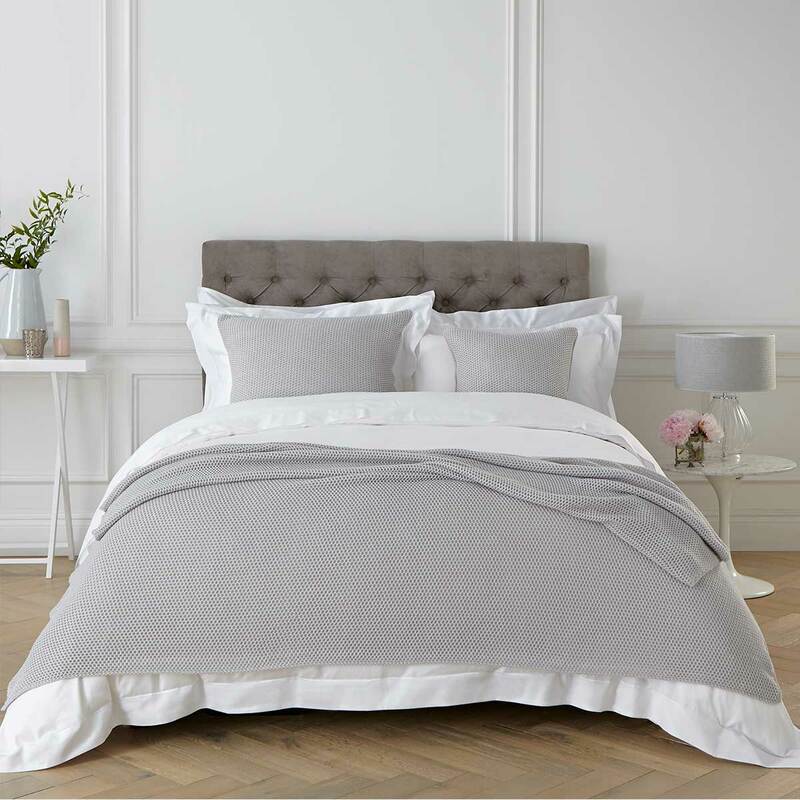 Available in a choice of three colours; light grey, dark grey and laurel.